Flexible wireless solutions integrating energy efficient lighting, audio, digital signage and more for your city, campus or sporting venue. Intellistreets is the most effective way to maintain and conserve natural and human resources needed to protect our country and reduce our carbon footprint. Intellistreets offers the only wireless mesh system using bidirectional/multi-media communication between individual luminaires and the web-based user interface. This system is an integral component to the environmental streetscape, enhancing the pedestrian experience through a wide variety of multimedia options. 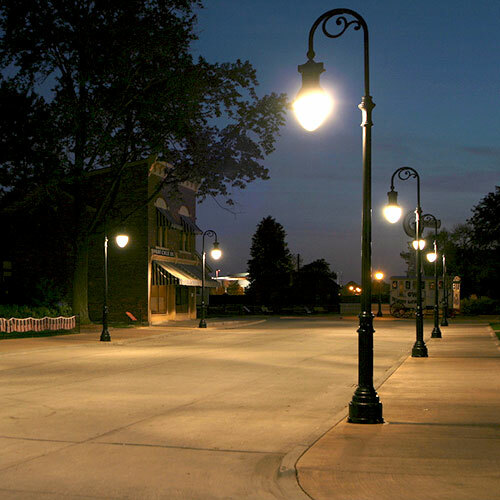 With patented wireless technology to communicate to individual luminaires, streetlights are able to save up to 70% in energy consumption and extend life to 10 years and beyond. The system provides unique flexibility in dimming and on-demand adjustability. 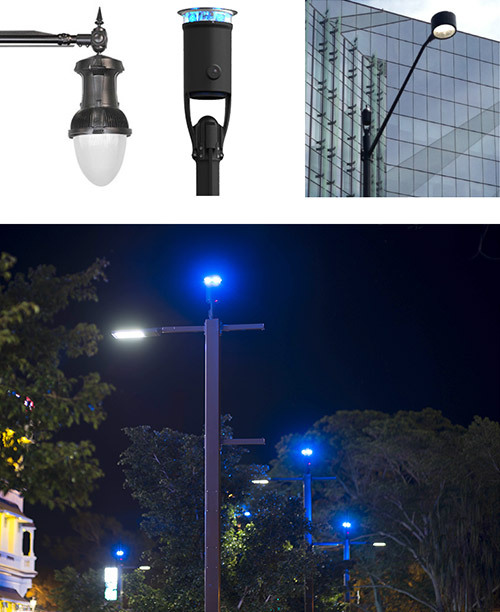 With a centralized interface and wireless transceivers on each pole, the system allows for bidirectional communication between streetlights and other integral sensors. The mesh topology also provides self-healing for the network should one or more light poles become disabled. Visible 24 hours a day, with four selectable colors, the LED indicator provides customized indication for egress routes, notifications and managing traffic conditions. 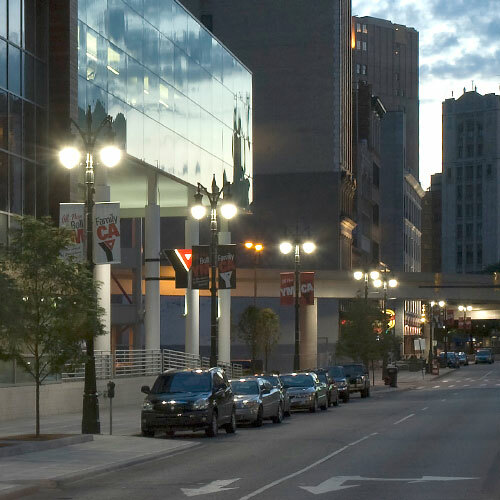 A fully integrated speaker within each multi-media luminaire provides audio at the street level for ambient music, pre-recorded announcements, dial-up mass notification and advertising. 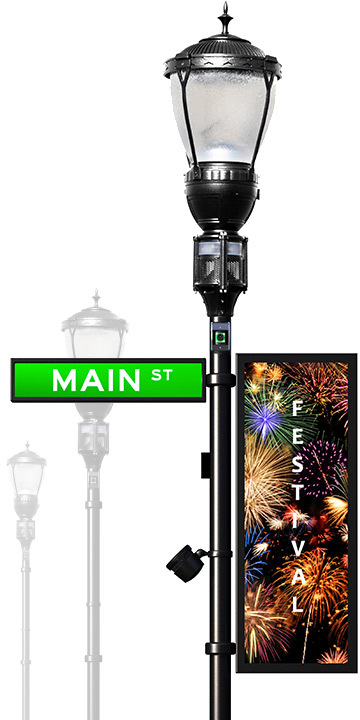 The digital banner is a 2-sided LED display that provides street level visual communication. Custom graphics can be used for advertising, community announcements and real-time alert notifications. Additionally, digital street-signs allow for better traffic management. 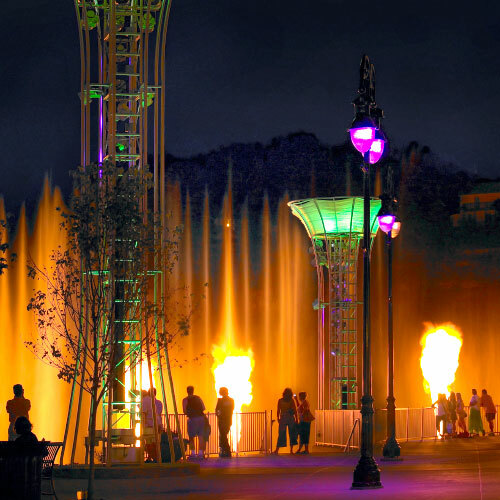 Wireless control of color changing lights facilitates the transformation of an ordinary space for a special event without additional equipment. 180 degree image sensors are concealed and offer a unique method of gauging pedestrian traffic, providing accurate data by the minute, hour or day. This is a powerful tool for tenants, landlords and public safety officials. Environmental sensors can detect and report the presence of water, wind, heat, and lethal gas. Depending on your specific functional and aesthetic needs, Intellistreets is offered in a variety of form factors. Standard features include Wireless Mesh Transceiver, Lighting Control, Alert Notification, and Concealed Placement Speaker. Additional features may be added. Includes the same features of the Integrated "Multimedia" Luminaire. 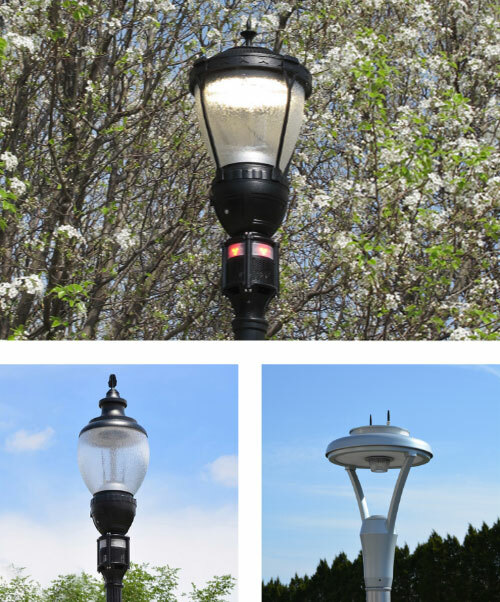 May be attached to existing light poles or function in a "Stand Alone" mode without a luminaire. 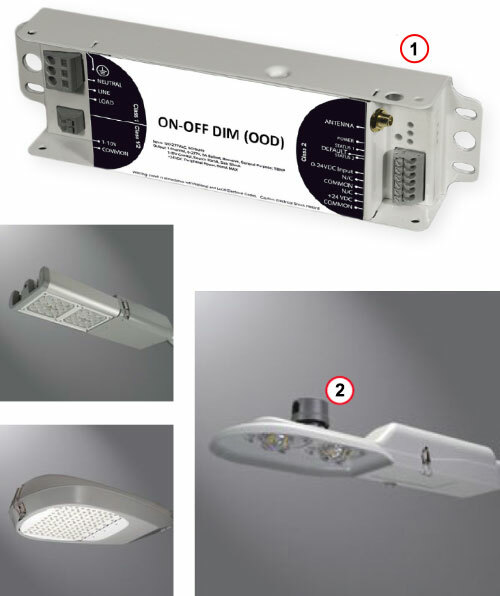 For simpler systems that need only basic Lighting Control, this module comes in two form factors, to be mounted internally within a pole (1) or attached externally (2). 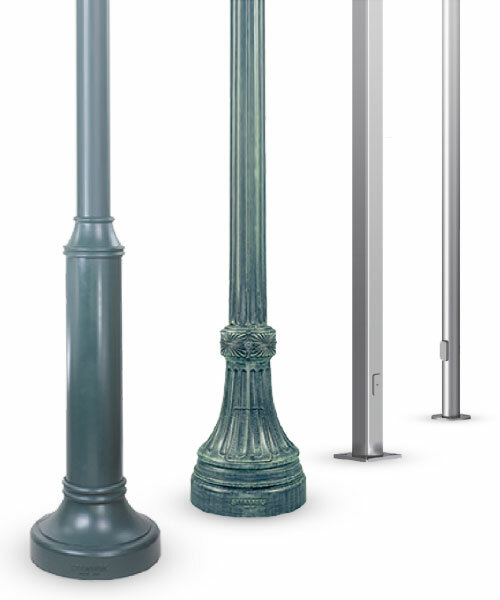 Along with working with existing street poles, we also offer pole options in 5" diameter ranging in height from 8' up to 30', with bases of 8" or 18".